Water filters FilterMax with stainless steel meshs, washing and pressure controller controls, made in Germany. 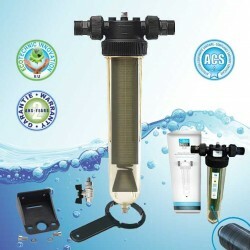 Special water filter for drilling water with washable discs. FILTERMAX DISK, FILTERMAX B, FILTERMAX BP, FILTERMAX BASIC, FILTERMAX RO. FilterMax There is 1 product.